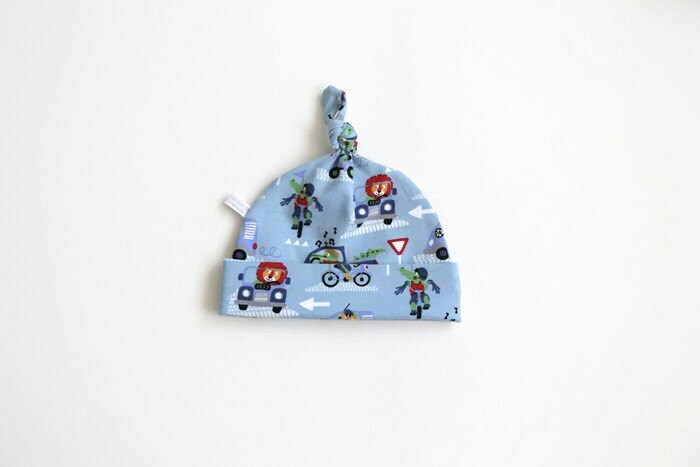 This cute blue baby knot hat will keep your little one's ears nice and warm. 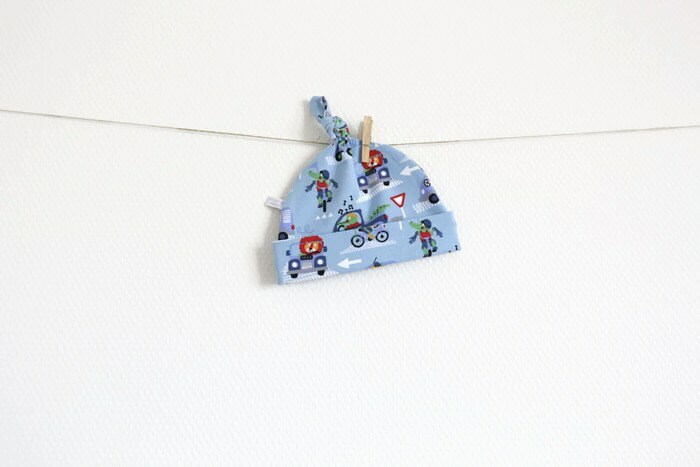 Each hat is made from soft cotton with lions, dogs and crocodiles riding bicycles and driving cars. The fold over band keeps it comfortably in place while being soft and gentle. Pattern placement may be different. Recommended care: Machine wash in cool water on a gentle/delicate setting, using phosphate-free detergent. Turn inside out to wash. Iron on cool. Do not tumble dry.